While some Nigerians have resorted to praying for the betterment of the country, a legal practitioner has stated why he will not join the train in that direction. Some Nigerians mostly the Christians have adopted the culture of going spiritual by praying for the country and its leaders at their various religious gathering. For instance, the Roman Catholic Church has a special prayer it offers for the country – Prayer For Nigeria In Distress – at every mass celebrations across its parishes and stations nationwide. 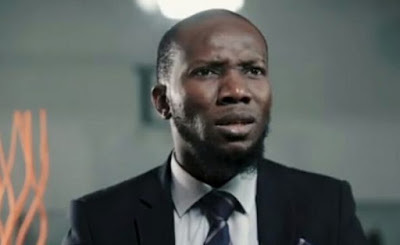 For Inibehe Effiong, a lawyer based in Nigeria’s commercial capital, the problem of the country is not spiritual hence no need offering prayers on its behalf. Mr Effiong, a Mountain of Fire and Miracles Ministries (MFM) member, said the difficulties being faced in the country today is due to resolve of Nigerians to continually vote in inept leaders on the basis of tribe and religion. “After voting incompetent leaders, Nigerians resort to calling on God & Allah for food, jobs, education, security & shelter,” the lawyer said at the weekend. “We can’t have it both ways. The problems of Nig are not spiritual. It is leadership and followership. We will continue to suffer until we do what is right. “I can’t pray for Nigeria/Nigerian leaders. Nigerian problems are not spiritual. Prayers/fasting will not give us good governance. With all the prominent Christian/Islamic leaders that we have in this country, nothing has changed. Churches/Mosques everywhere but no development,” Effiong added. The lawyer who expressed regrets for voting President Muhammadu Buhari during the 2015 election, switched his support to Omoyele Sowore, the candidate of the African Action Congress (AAC) during the 2019 presidential race. Like former president Olusegun Obasanjo, the legal practitioner is also accusing the president of incompetence. Like others, Mr Sowore lost the election to Mr Buhari who sought a second term in office on the platform of the All Progressive Congress (APC).